How to choose the right shade of foundation? Until a few years ago, this question was not covered by those who wore makeup and was looking for a foundation. There were on the market only foundation with rosy hue. Today everything has changed fortunately. The choice of the color of foundation is very important and I dare say that it is perhaps the primary basis of a good make-up. If we pause to watch our skin and we compare it with the skin of friends or friends we can become aware of what the color is different from person to person. And this is the reason why they were born different colors of funds that are based or a yellow pigment or a red pigment. A professional make-up knows and must always use the color wheel rule to find the right skin color of a person and know consequently choose the proper color of the foundation. Of course the whole thing may seem difficult or impractical. But is not so. The skin has a color that always tends or yellow or pink. Here then is the color of your choice becomes easier if only we stop and look more closely at the pigmentation that is nearer. The test can be easily carried on the jaw in the part closest to the neck. It will take a sponge and a product sample can stretch out in the area we were talking about. If the color will match the color of our skin the result will be that you will not see differences between the color of the foundation and the color of our skin. At this point it will mean that your choice is the right choice. If you notice, a difference will mean that the chosen color is not suitable for us. The advice I would give is to choose a foundation the same and identical to the color of our skin because it is unsightly often see people wearing darker skin believing funds to have a healthier complexion but instead appearing as if wore a mask. What kind of foundation to choose: for oily skin, dry skin, for acne skin? The type of foundation you choose is very important. Our skin is what we are inside. I recommend a healthy diet that helps to balance the dermis and proper and thorough cleaning to be carried out every day before and after applying makeup. Council then to observe our skin in the morning when you wake up: you will find out things indicative of his state, and you will learn as a result choose the most suitable products. In general, normal skin can wear any type of foundation is understood as different textures. A normal skin appears compact, colorful but not too much and never oily. If we notice that they have rather oily areas usually on the forehead, nose and chin, then the choice should be a bit more complex. You must combine two different types of foundation: one of matte areas presenting oiliness and one creamy in not oily areas. The combination makes the best and most durable results over time, but if this is not possible then counsel with a good moisturizer that releases moisture over time without making the skin oily. 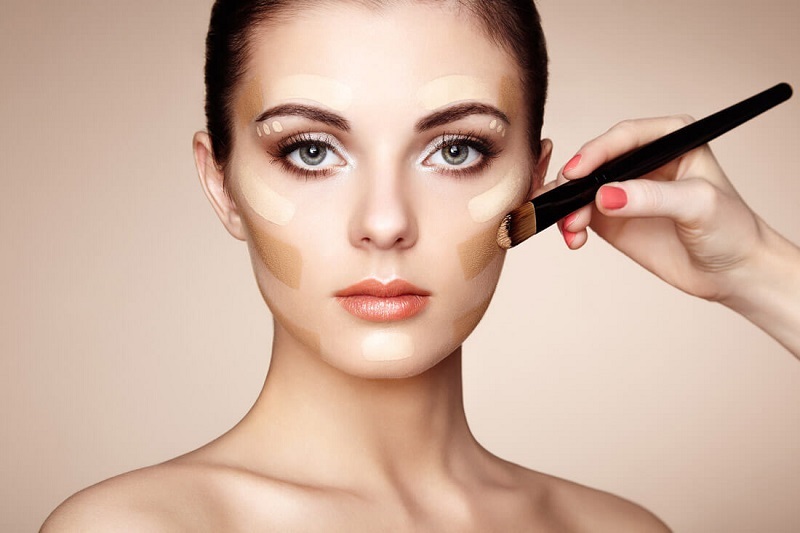 You can then use a creamy foundation sure that the result is perfect at least for an appropriate time (which will vary greatly depending on the individual). For dry skin to moisturize the advice it is of course as much as possible and to choose water-based foundation that help better your skin to remain well protected and quench their thirst. It should not forget that the technology used in the “build” modern beauty products is really the cutting edge in terms of ingredients used, the texture offers and obtained results. For skin with acne the question changes a little. In any case you just have to use non-comedogenic products, i.e. products that do not disturb the skin and leave the state in which they find, without damaging it. Products are designed to not clog pores and not to create blacks points or something. Having said that choosing the foundation suitable for acne-prone skin is a bit acne skin can be oily or dry. Now apply the things mentioned above, but with some changes to make it look natural skin and well covered. 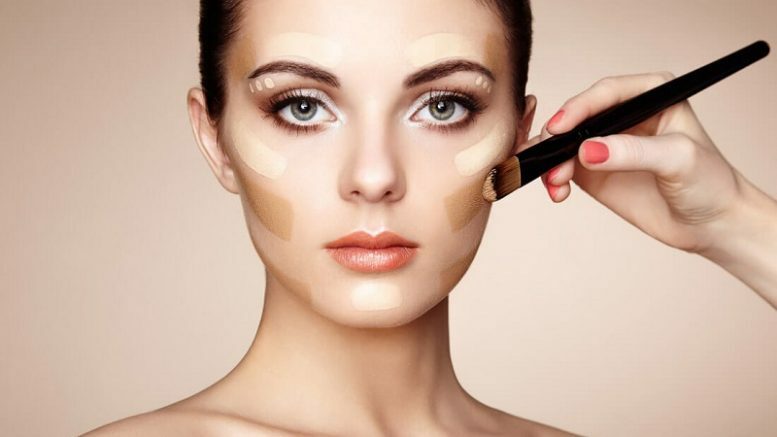 I always recommend the use of a correction, the more intense coverage, to cover any pimples or skin blemishes and applying foundation all over the face or the areas that need it without ever abound, since the cover too much with the products makes the skin too thick and instead of hiding it puts everything out. Use the foundation with “respect” and with proper manners without excess. The price of a foundation is indicative of its quality? Alas!!! Well yes. You might believe that it is not so but working for years in cosmetics I realize that the value for money in this industry is very narrow. The giants of the cosmetics companies are investing large sums of money in research into new technologies for the creation of more and more advanced products, the exceptional performance and the result is often stunning and exceeds many expectations. All this obviously has a cost that is reflected in the price of products but there is a reason in things game. None of these houses with a solid reputation and established itself in the market obviously wants to lose reputation with low price and low quality products. Everything that is created has behind a long study in time done by professionals in the medical-scientific, biological, dermatological and more products created are not even tested on animals but only on volunteers or synthetic leathers. This increases the realizable and exit of products identical times, but it makes great friends and even so loyal and innocent beings like animals. Sometimes even just for this reason it is better to buy a more expensive product knowing that you do not make experiments on innocent creatures. The price, then, given the high performance of products in terms of application but also the high yield in terms of ingredients (factors emollients, vitamins, natural antioxidants) is a natural consequence of these factors, the decision to give our best to consumers who do not want to ever make unsatisfied, but we want more and more every day and impress with our imagination, our professionalism and above all with our seriousness. This season is in fashion the ‘shiny’ foundation with micro pigments that reflect light or the mat? Or it depends on the skin type / kind of trick? Again the question provides more feedback. Obviously they stand each season new trends, but the respect that I bring to people makes me think and say that there’s no rule. All is fair if we like to do and if it suits us as people, because basically we who must choose who we want to be and how we want to look. Much it will depend on what we have to do or because we want a kind of make-up rather than another. I personally feel that all the foundation are not always suitable distinction between a fund for certain occasions and one for others. Many women use foundation reflecting the light of day and matte in the evening, or vice versa. What you really need to know is how it will be the result of a kind of make-up rather than another and then choose consciously, knowing exactly what message we will give and how it will be interpreted. Freedom is the watchword in the choice of the foundation (then with the exceptions listed above). Be the first to comment on "How to choose the foundation"